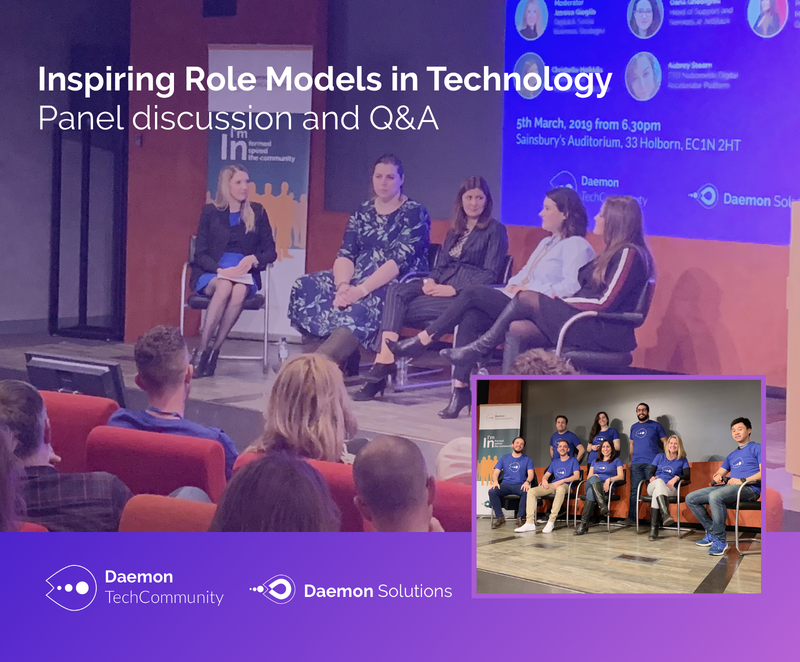 For our first event we wanted to bring together some of those truly Inspiring role models in technology we know in our networks that just happen to be women. The industry needs more diversity, and there are plenty of all male panels so it wasn’t a difficult decision. Our goal for the evening was to focus on the positives more than the trials and tribulations and showcase the wide variety of different roles that are emerging for women within the technology industry. Everyone has a story to tell. Bringing people together and letting them tell theirs is the basis of building any community. Our panel Q&A was hosted by Jessica Gioglio and comprised leaders and technologists with interesting journeys and inspiring stories to share. Career paths are rarely linear. There are many twists, turns and intersections. For Christelle Heikkela (IT Director at Arsenal FC) it was a journey that started in pharmacy then through Management Consultancy and on to IT. For Emily Sappington (Design Manager at Babylon Health) it began with a love of art and psychology, for Oana Garnett (Head Of Support at Jetstack) it was initially a desire to work for NATO and for Aubrey Stearn (CTO of the Nationwide Digital Accelerator platform) the love of code and tech that started with a Commodore 64. “Everyone should try and work for a big and small company…and live in a different country if they can”, Emily’s advice resonated with all members of the panel. Being curious and open minded is key, this doesn’t necessarily come naturally to everyone but in technology it’s really important to embrace new ideas and not just stay focused on your beliefs. As with all communities there are stories being shared by everyone everywhere. Before and after the event our attendees mingled and listened to each other’s stories. It is these that are the lifeblood of any community. We look forward to seeing you at our next event. For all the latest updates join our meetup group here.